This is the first CD in a series which will present his substantial corpus of piano music. 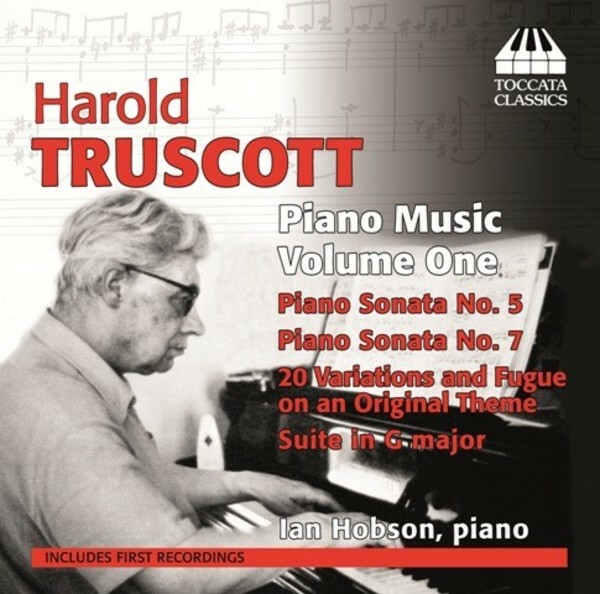 2014 sees the centenary of Truscott’s birth – and the release of this CD is the only event marking this important date. Ian Hobson, pianist and conductor, began his international career in 1981 when he won First Prize at the Leeds International Piano Competition. He is in increasing demand as a conductor, particularly for performances in which he doubles as a pianist. He made his debut in this capacity in 1996 with the Stuttgart Chamber Orchestra, and also performs extensively as pianist-conductor with Sinfonia da Camara, a group he formed in 1984 and which quickly gained international recognition through its recordings. Ian Hobson appears on a number of other Toccata Classics recordings as pianist.